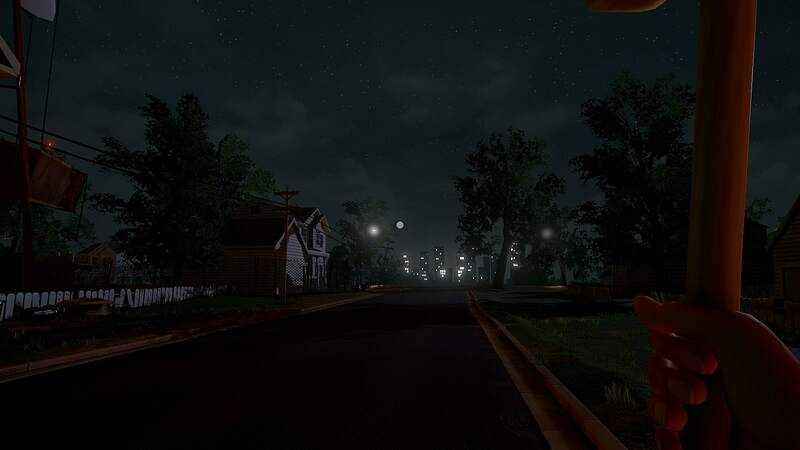 Thanks to newer funding strategies like crowd funding sites and early access development, a crop of intriguing games offering up very different experiences have managed to see release that otherwise would have languished without publisher support. 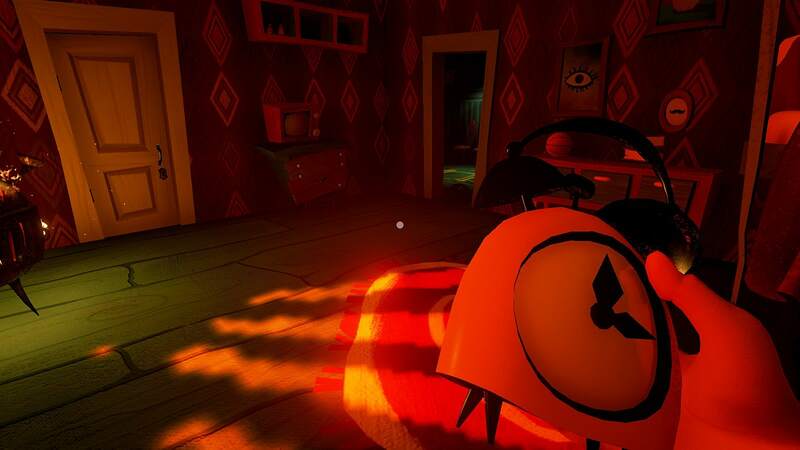 One of those indie entries is the adorable and terrifying Hello Neighbor, which balances cutesy graphics and a very iconic cartoon style with legitimately unnerving gameplay. Just moved in... better introduce myself to the neighbor! 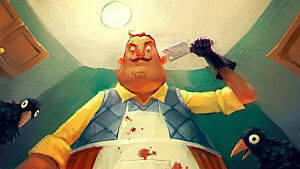 Expected out in a complete version this coming summer, Hello Neighbor is currently available in early access with Alpha Build 3, and there's already loads more material than was present in the original pre-alpha free edition. Since the game isn't finished yet, this review will be based both on the quality of what currently exists and the potential of what could be once the final, feature-complete version arrives. In other words, I'm strongly taking into account the limited nature of the alpha and basing my analysis on what is slated to arrive down the line. 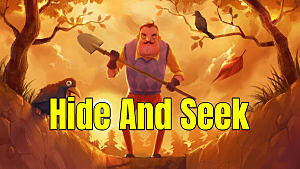 There's a major shift in tone and style from what you'd probably expect from something labeled a "stealth horror" game. There's no shooting or stabbing, no robed cultists, and no monstrous creatures, but instead, there are pots of exploding glue to slow you down so you can be "caught" and start over. Despite the deadpan British-isms and cuter style, there's a serious learning curve and actually an exceedingly high difficulty level on display here. It's not Dark Souls punishing, but it's close. Much like the xenomorph from Alien: Isolation, the neighbor learns how you infiltrate his home each time you fail, and he knows the building's layout far, far better than you do. He will take shortcuts or suddenly veer off the chase to come at you through a side window while you are running blindly to get away. This guy has paintings of an eye and a mustache. He must be up to no good! Along the way, you've got to find interesting ways to distract the neighbor using various objects (calling his phone, turning on his TV, breaking a window, setting an alarm clock, etc.) 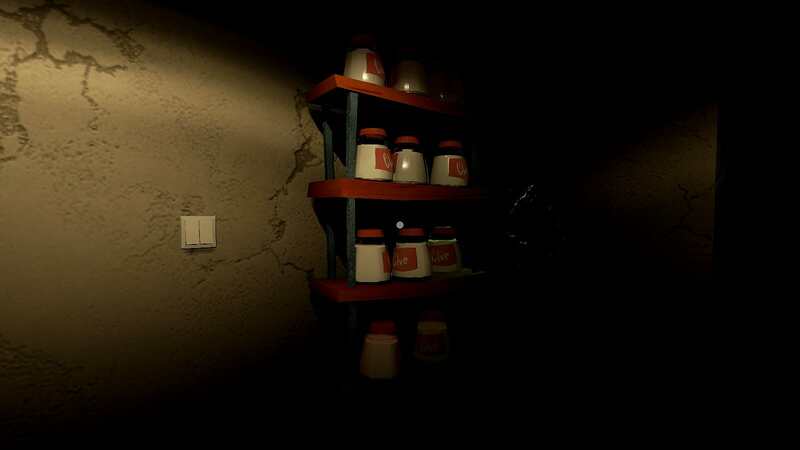 so you can grab the items needed to unlock a door leading to whatever nefarious thing is hidden in the basement. 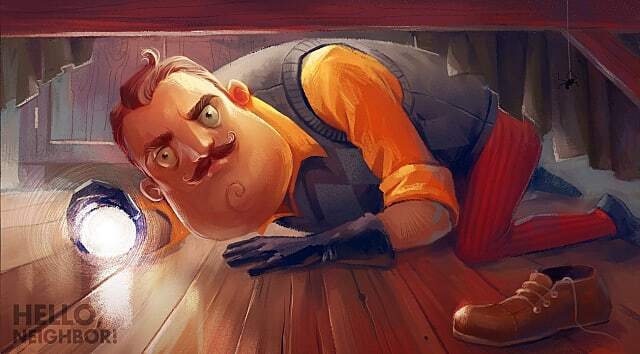 The neighbor isn't just hiding inside and waiting for you to learn his secret, though: he goes on the offensive as well by setting traps, wedging chairs to lock doors you've opened, and chasing after you if you aren't sneaky enough. You'll have to learn from your mistakes, eventually unlocking new entrances to the house and discovering new routes to take to reach certain rooms. 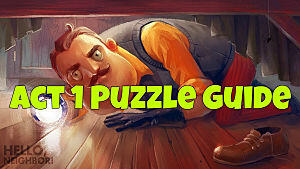 This dude really likes his glue! 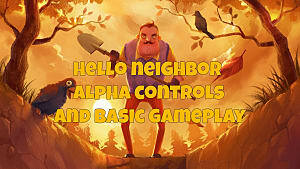 My main concern with Hello Neighbor at the moment is the lack of content, and I don't mean what's currently available in the alpha version. While the whole neighborhood block is currently being constructed and added with each update, it appears those other homes will play a minimal role at best, and the vast majority of the game in the feature-complete version will still revolve around breaking into one single home to find a way into the basement. 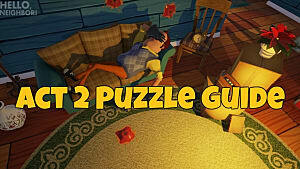 Even with all the different ways to go about different tasks and the trial and error of finding each item needed while getting into the house repeatedly, it seems like there can't possibly be enough replay value for such a simple setup. 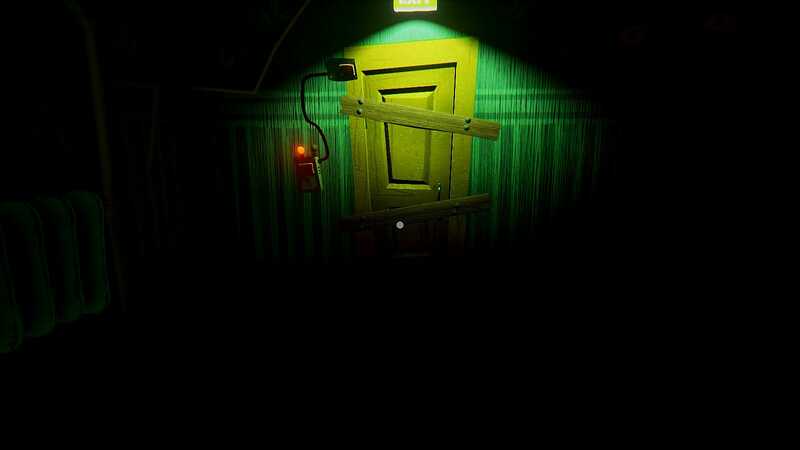 After you figure out the mystery and get into the basement, why ever turn the game on again? Good thing it's pretty hard to actually get in there! The devs will need to find a way to expand this scenario -- or at the very least make the interior of the home significantly larger than it is now with a ton more items to utilize -- in order to draw in players who want more than a few scant hours of gameplay. 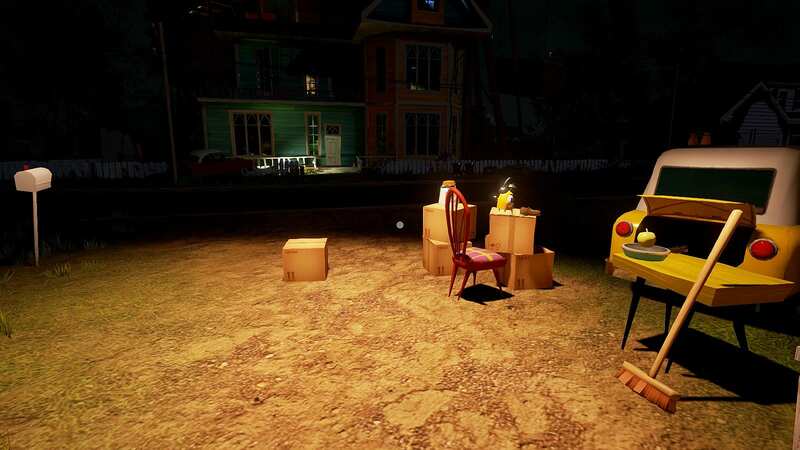 Compare this setup to We Happy Few, another early access game that blends horror and comedy but offers a full city and open world missions, and you can see the massive difference in overall content. 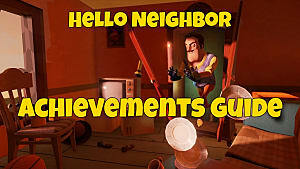 I'm loving the stylistic touches and how much fun Hello Neighbor is managing to cram in with so simplistic an idea (and with such a stripped-down control scheme). At the moment, the difficulty is also just right to lure me in and make me try another run at the house, rather than having me throw my keyboard and click "uninstall." 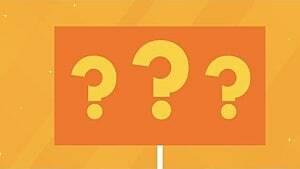 The big question mark is how long the game can maintain interest when it's finally finished. 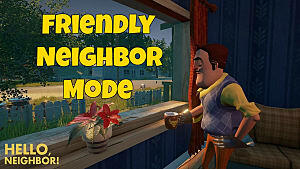 If it stays where the trajectory appears to be going, I'm concerned Hello Neighbor will be more of a quirky oddity to play for an afternoon, but with some expanded and upgrading it could be an indie stealth gem. Alright, one more attempt at breaking into a home tonight! 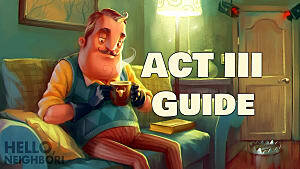 Ready to dive in and try your hand at well-intentioned breaking and entering? 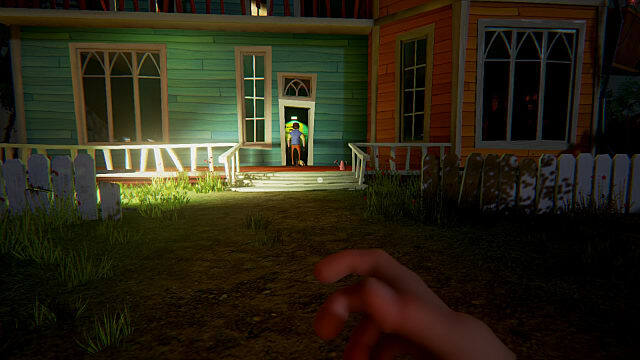 Check out our basics guide here as well as a more in-depth look at exploring the house while avoiding the neighbor over here.